Mayor Rob Burton shares that Oakville offers more value and a higher standard of living than other key cities, facts that can’t be easily seen at first glance. The town undeniably has a large number of affluent residents but the community is quite generous and is very accepting of various cultural backgrounds. The live ranking results of the 2018 Canada’s Best Places to live list confirm what Burton said. Moneysense’s results show that not only is Oakville the best place to live in for 2018 but is also considered the best place to move in for new Canadians. Oakville also came in 5th as the best place to raise a family and 3rd as the best place to retire. These strong points make Oakville very attractive to people from diverse backgrounds despite not being one of the cheapest cities in the country. Oakville got a high score in a broad range of areas assessed by the Best Places to Live ranking, getting to the top 25% of all cities in 6 out of 10 categories. Residents also enjoy the benefits of living in a close-knit suburb while having access to Toronto’s strong job market. Statistics from the past 10 years show that people from all sorts of background have taken notice of how ideal it is to live in Oakville. Minorities increased from 18% to 31%. Although known for its mega mansions, it should be noted that 45% of Halton region’s low-income residents live in Oakville and there are many relatively affordable townhouses that small families can afford. Mayor Rob Burton shares that the key to Oakville’s success is its ability to maintain a small-town sense close-knit community despite population reaching 200,000. It is for this reason that the municipality’s official name remains ‘the Town of Oakville’ and the city have no plans to change anytime soon. There’s magic in a city that calls itself a town and feels and acts like a village. The data was collected and analysed with Environics Analytics. Planning to move to Oakville? Contact us today and we’ll help you find your Oakville dream home! 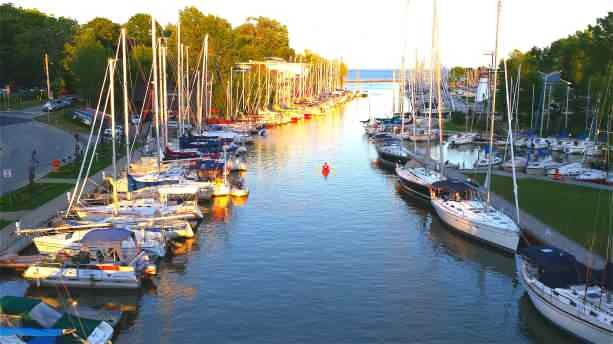 Oakville has diverse neighbourhoods that can fit your needs. Talk to us and schedule a viewing soon!